Sorry for the unexpected blogging break – I was so uninspired, I had nothing to say (and that doesn’t happen often!). But, I think I’lm back on track now. Pattern’s from the Knitter’s Handy Book of Patterns, on Brittany 2.75mm double points. 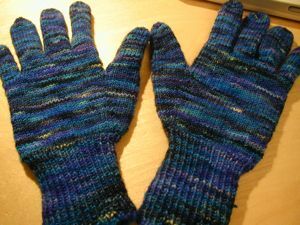 I used juuuuust over one skein of Koigu KPPPM for both – I only needed to break into the second skein for two fingers and the thumb of the second glove. That leaves me with almost an entire skein to play with…I think I might make some socks or something out of the rainbow Koigu leftovers I’ve accumulated. I’ve been bit by the sock bug. And just as Adele was at Romni today buying this yarn, so was I, after my drum lesson! What a coincidence, hm? It’s Regia Jubilee colour. 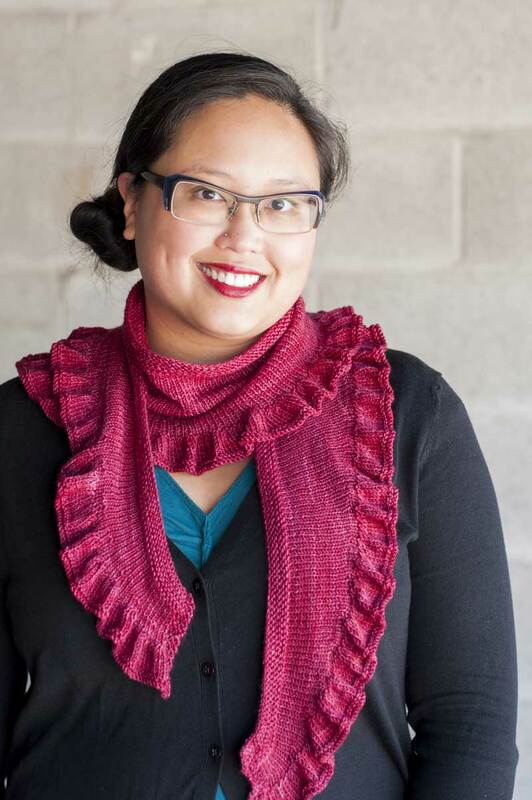 I almost bought two balls of Regia’s cotton colour, in a similar pink colourway, but I went with this one instead. I also picked up some needles. The one I’m doing this sock on is by Garnstudio DROPS (“for det perfekte resultat!”), a 2.5 mm bamboo circular. The needles are great – the tips are nice and long, with good pointy tips. I find the tips on some needles, like Addi Turbos, too short for the way I knit and as a result give me hand cramps (never good). So these are perfect. I also picked up a 3.5 mm bamboo circ, Kertzer’s “Collection” needles. I’ve used the Collection double points and liked them, so hopefully the circular will be as good. 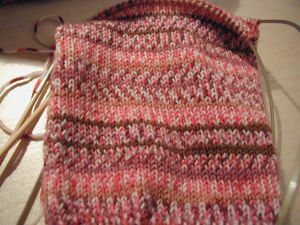 Oh, and the sock – it’s just a basic top-down sock (although I’m a fan of the toe-up, I didn’t have a pattern or anything and wanted to get started) on 72 sts. Unfortunately the gauge/number thing isn’t really working out for the patterning. I’ve got nice patterning on parts of the sock, but not everywhere. It’s ok though, I still think they look awesome. It’ll be a normal heel flap/gusset thing, with numbers from the Knitter’s Handy Book of Patterns (again, love that book!). Maybe I just need a break from the big projects for awhile.